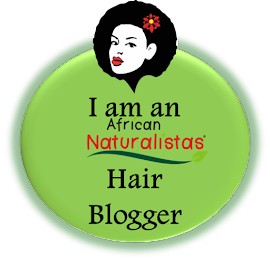 As you know, I contribute (am part of the team) at African Naturalistas, a blog for natural hair. This Saturday, there are THREEEEEEEEEE hair events in Lagos. I like to go for hair meet-ups, to meet people, learn, and hopefully buy some fun items. Naturals in the City is a hair meet up, where all kinds of hair is welcome. This is the 8th edition! There will be vendors selling things from hair products to accessories to skin products and more. There's usually a session of speakers and interactive presentations as well. 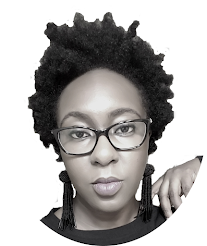 I've met a few other hair bloggers and just people interested in natural hair at these meetups. Find more information and how to win prizes from the awesome giveaway here. In addition, there's the Locs Appreciation Day event on the same day, but later in the evening. 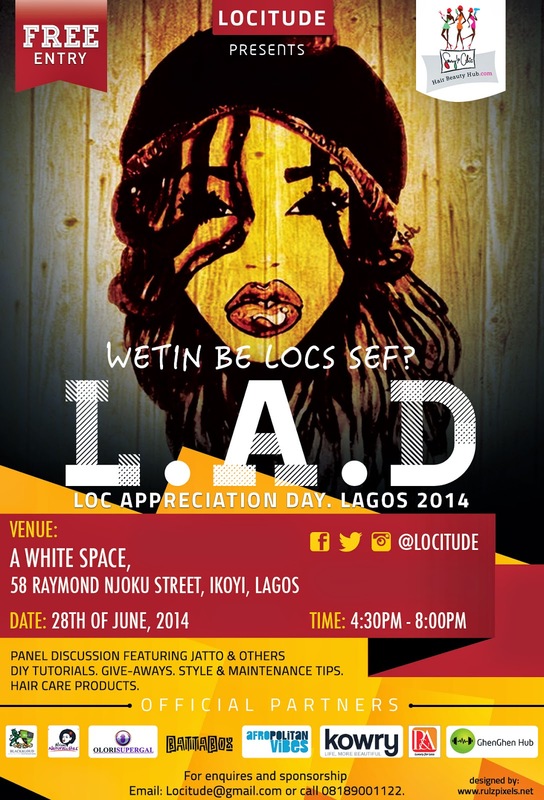 I didn't even know there were locs meetups anywhere in the world, and here we are having one in Lagos! I'm going there so I can ask about faux locs and the best hair to use, so I can trick you guys one day. The third event is coming from Midas Naturals, a Nigerian-owned, UK-based natural hair product company is having a pre-launch event. You'll get the opportunity to hear about their product offerings, and you can buy starter sample packages. Soooooo, good luck to hair enthusiasts on Saturday. Since I'm so Mainlandphobic, I shall restrict myself to just the first two. That is, unless Cakes has a cake to deliver on the Mainland in the morning, and then I can catch a ride and visit the Midas one. I never knew about the third one. Would I be so greedy, if I ask you to bring small cake to NITC? Lol. I'll be hungry naa. Yes! Berry, bring cake to NITC pretty please?